Design for dual monitors application, the M6 Twin provides a solution for mounting two monitors in landscape or portrait with only a single HDM6 arm. It maintains the same range of movements as the single HDM6 including the monitor tilt up and down angle adjustment. The adjustable pivots and the crossbar allow to mount the monitors up to 24". 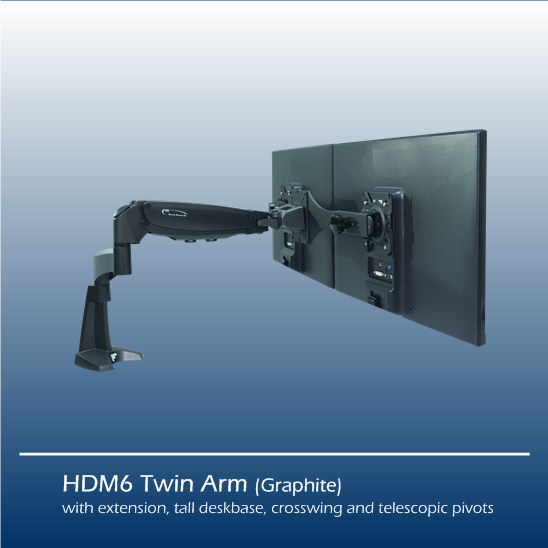 Combining a HDM6 arm and a telescopic crossbar to form the platform for dual monitors mounting in landscape or portrait layout with only a single arm. The telescopic pivots can be individually rotated or swang and to fit different sizes of monitors up to 24". 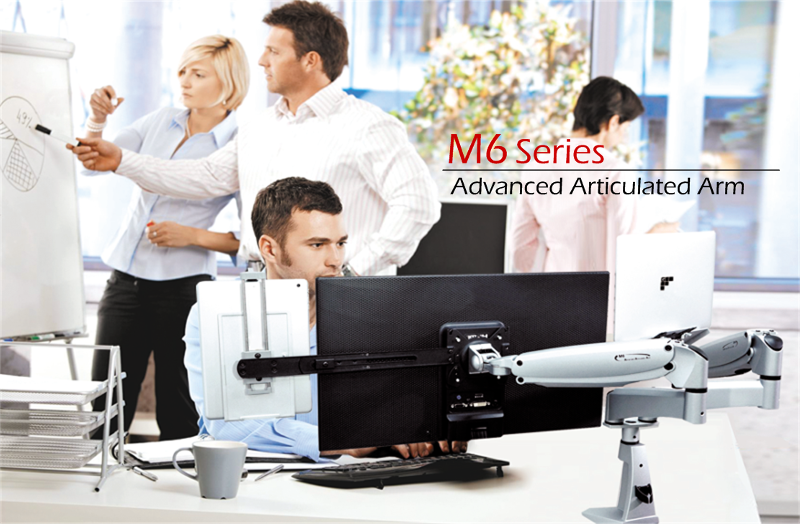 M6 provides a stable, reliable and an easily adjustable counter balance support for any monitors ranging from 7 to 15 lbs (3.2 to 6.8 kg)*, which covers up to 24" monitors in the market. 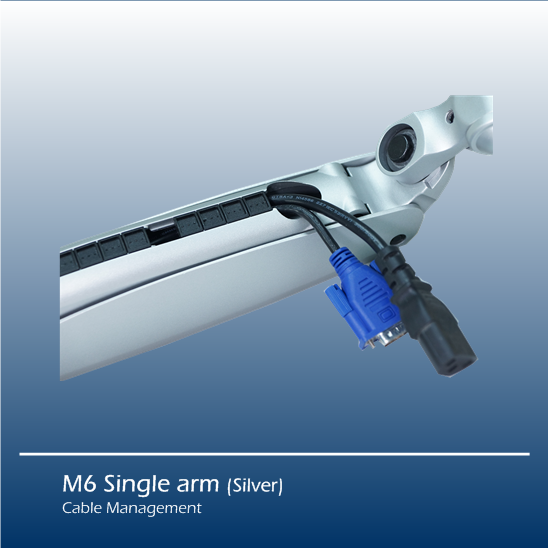 With spring assisted heavy duty pivot and heavy duty gas spring, heavy duty M6 provides nearly the same range of movements as the standard M6, supporting monitors weighted from 18 to 42 lbs (8.2 to 19.1 kg)*. Combining with telescopic crossbar, single arm can be converted to a twin horizontal or vertical platform. 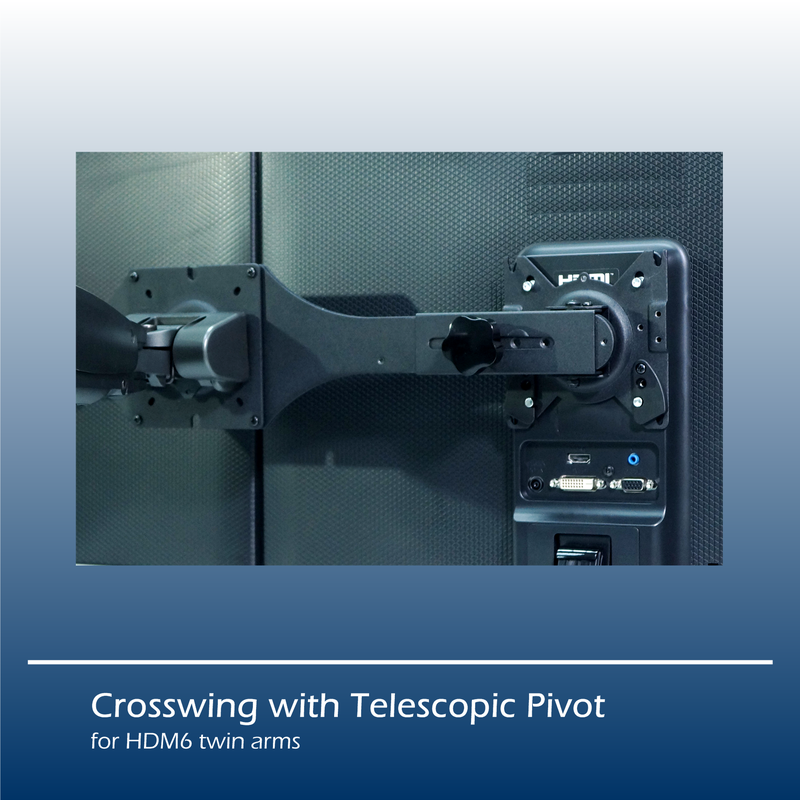 Telescopic pivots can be individually rotated or swang and to fit different sizes of monitors.